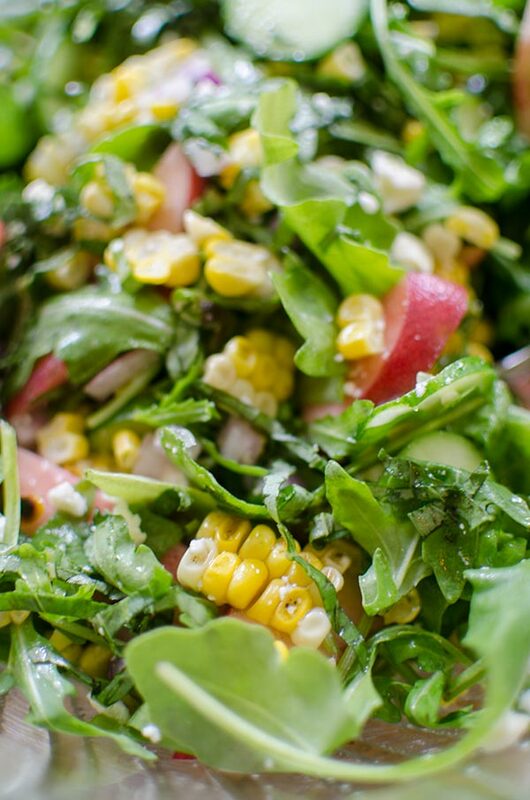 Charred corn and arugula salad with peaches is the perfect bright summer salad with basil and feta with a light lemon and olive oil dressing. I basically took all of my favourite summer ingredients and threw them together in this salad. Charred corn? Check. Peaches? Check. Basil? Check. Add some peppery arugula, the bite of red onion, crunch of cucumber and salty and tangy feta and you basically have the perfect summer salad. Summer cooking for me is more about celebrating the fresh produce. Which means that a lot of the time, there isn’t much cooking involved (unless it’s a tart of some kind). It’s more about eating the ingredients in their raw form. A peach, with the juice drizzling down your wrist with every bite. Popping a fresh cherry tomato into your mouth, right after picking it from the garden. Grating tomato over a piece of toast for a Pan con Tomate. These are the dishes of my summer. I came back from New York last week feeling completely refreshed, reset and ready to take on this second half of 2018. This is a good feeling. This is the kind of feeling you want to bottle up for those days when you need it. Those days where motivation is at an all-time low, or when you find yourself in a bit of a funk and are unsure of how to snap out of it. I get into funks for sure, mostly spurred by a creative funk, but those tend to spill over into other parts of my life. One thing I’ve learned about myself this year is that I need to be creating, otherwise I don’t feel like myself. Even when I’m not feeling inspired, I think I need to set time aside to force myself to do something creative to help get out of a funk. Maybe it won’t always be through cooking, but right now, that’s what I love. I read something the other day that made me think twice, it was essentially about thinking of the essence of a moment when you’re cooking, and how important it is to understand that when you’re developing a recipe. 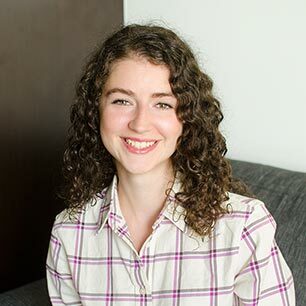 I think that’s something that I forgot, focusing more on what other people might want to cook instead of starting with myself and what I want to cook and what is inspiring me and happening in my life at any given moment. I’d always ask myself, “What do people want to cook in July?” and go from there, thinking about fresh produce, looking at the Google trends. Taking a more scientific and methodological approach instead of an inspirational approach. Not anymore, now I’m focused on keeping in mind the starting point of a recipe (“I need a quick dinner ready in 15 minutes”, “I want to host friends for drinks and appetizers”, “These peaches are amazing!”, etc.) to create the recipes that make me feel something. Preheat grill to medium-high, grill corn for 8-10 minutes, turning frequently to ensure even charring. Allow to cool, then slice kernels off the cob and discard the cob. 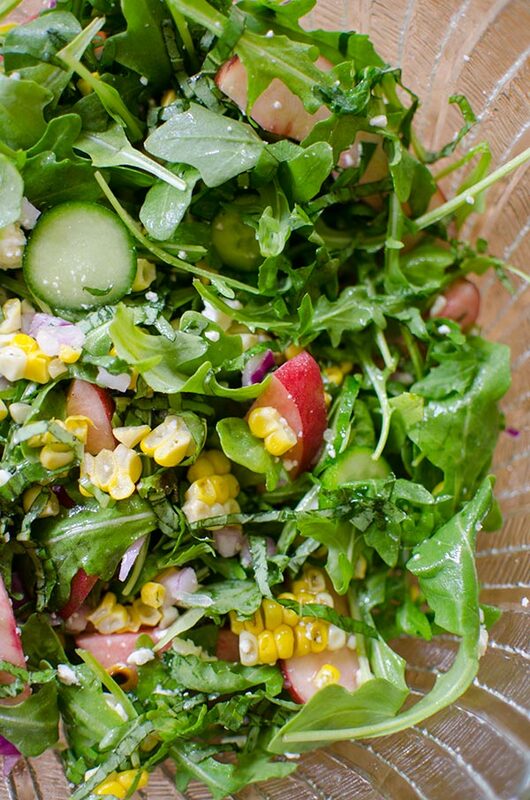 In a large bowl, toss arugula with peach, cucumber, feta, basil and red onion. Add charred corn and toss with lemon juice, olive oil and salt. 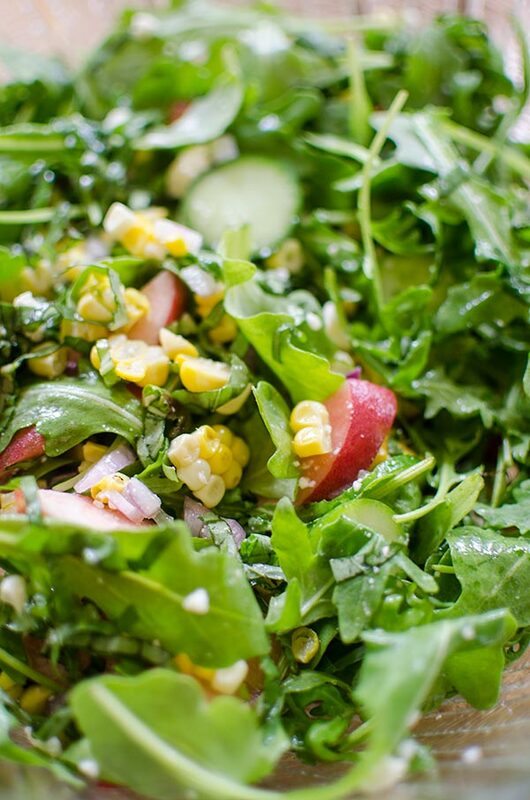 Let me know if you give this charred corn and arugula salad with peaches a try in the comments below. Such a fun summer recipe Lou - thank you!